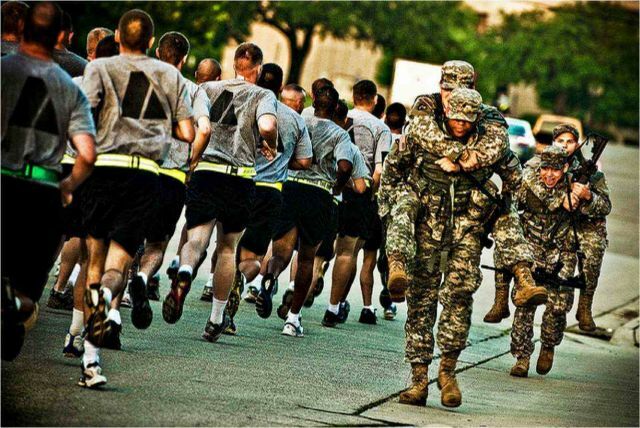 The 1st Cavalry Division Soldiers trying out for the 2nd Battalion, 38th Cavalry Regiment, Long range Surveillance, Airborne unit here at Fort Hood, Texas gut out the last mile of a two and a half mile buddy run, on July 27. Photo via the US Army photo by Spc. Adam Turner.